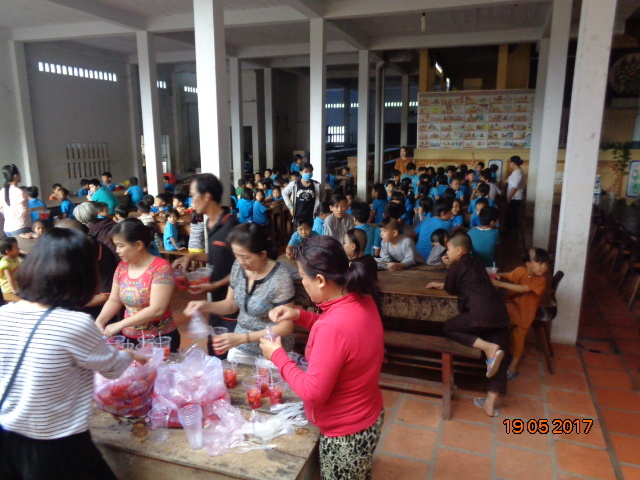 On May 19, 2017 we visited the Loc Tho Charity School and Orphanage with our monthly supply of healthy food supplements, plus a nice treat for the children. 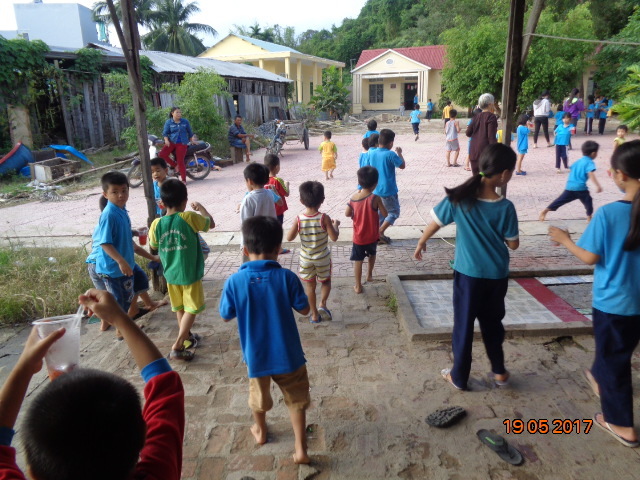 Loc Tho provides free primary schooling for neighborhood youngsters whose parents cannot afford the costs of public school. 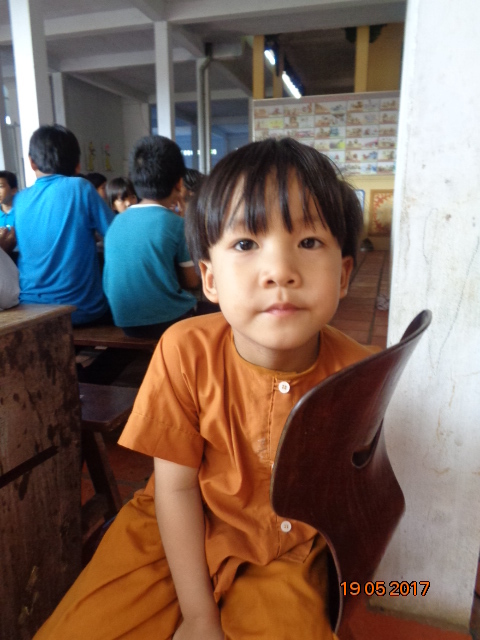 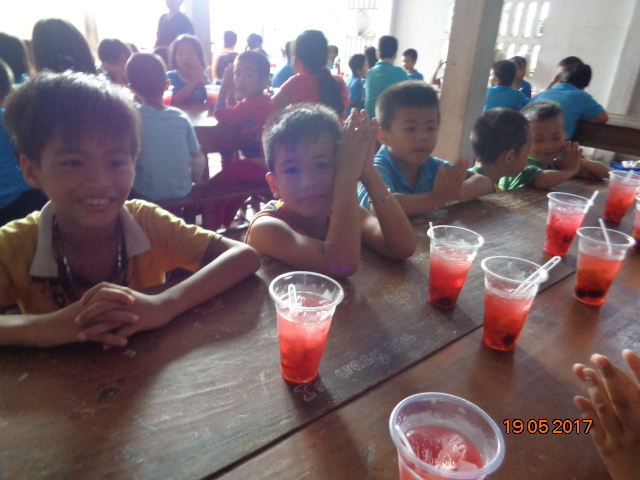 Children receive meals, and we have endeavored to ensure their meals have nutritional supplements beyond the standard fare of rice and vegetables. 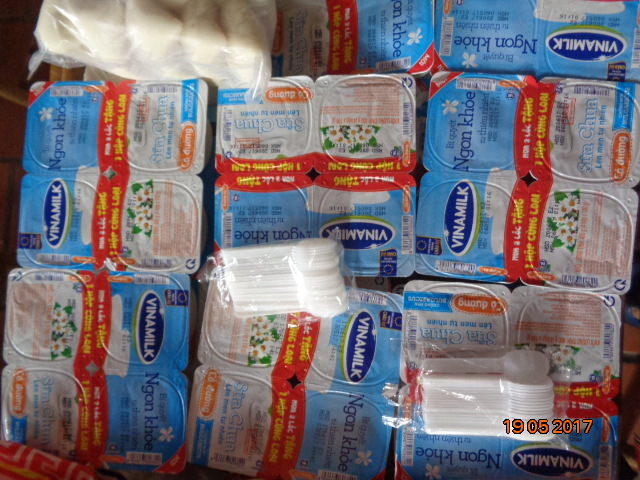 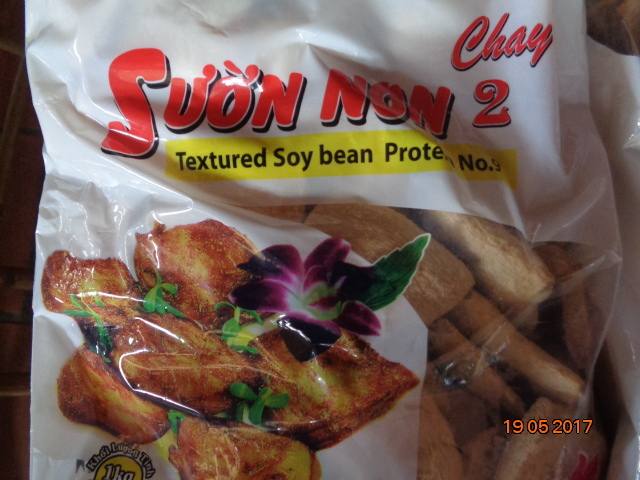 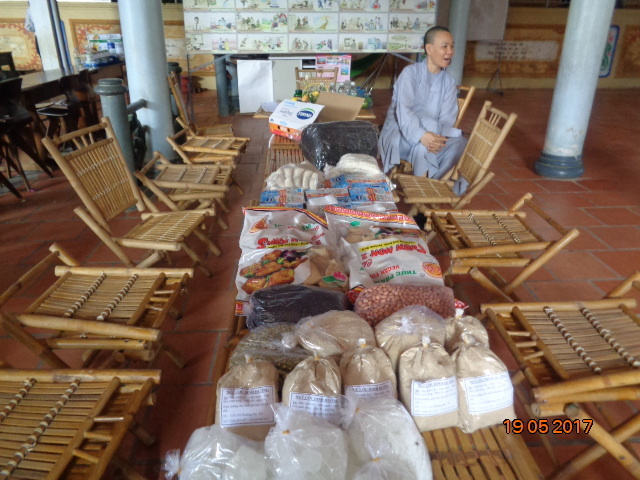 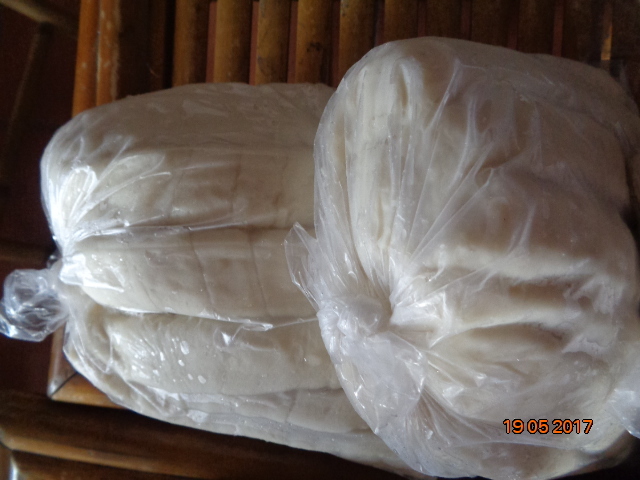 On this visit we brought yogurt, milk, soy protein, bread dough, and bags of different bean varieties. 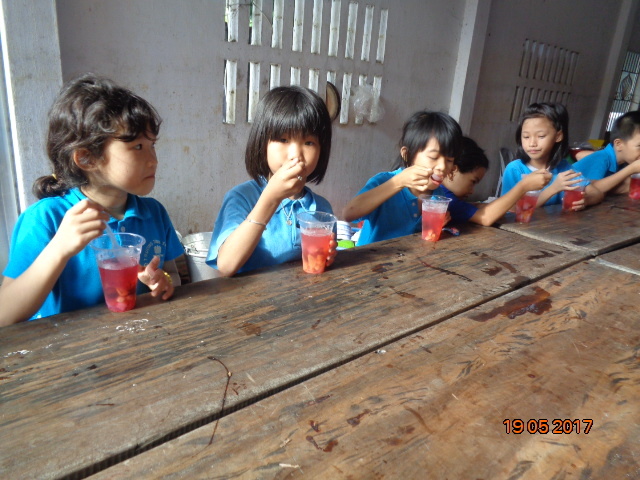 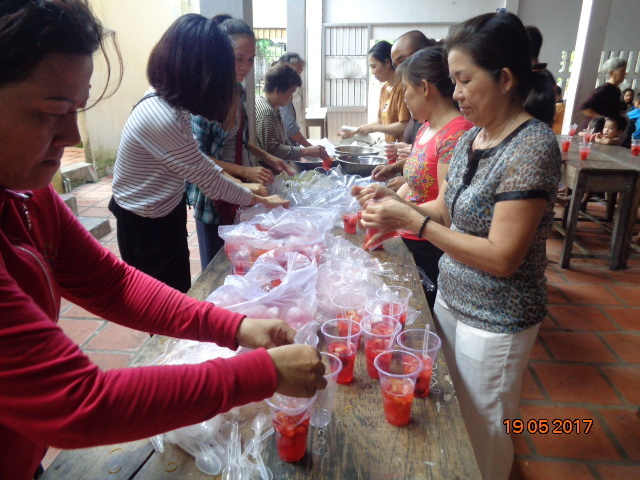 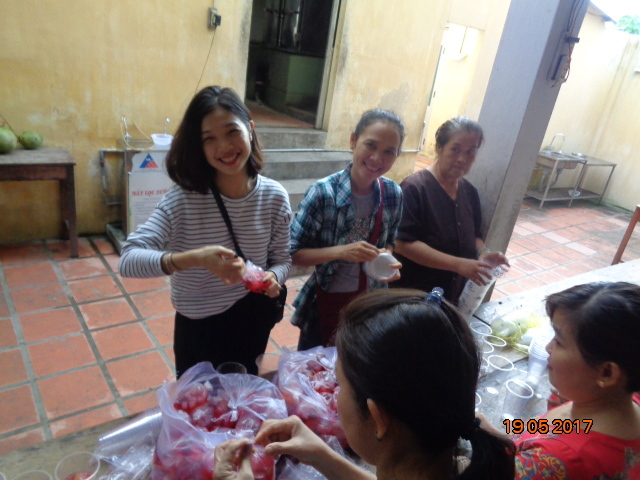 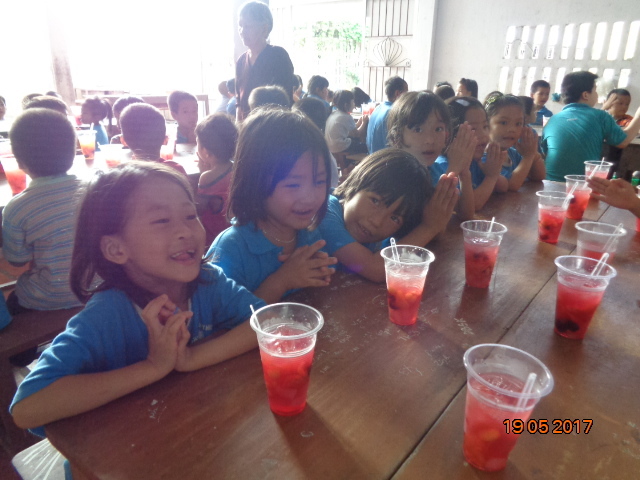 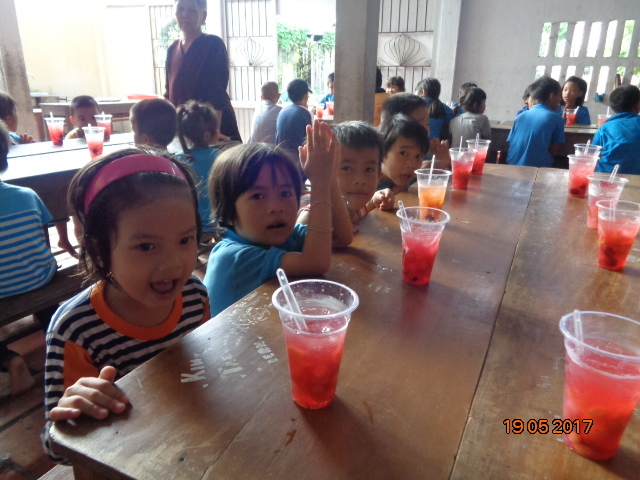 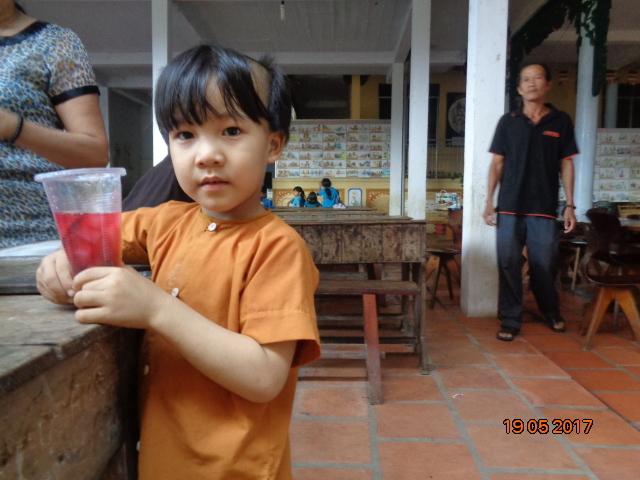 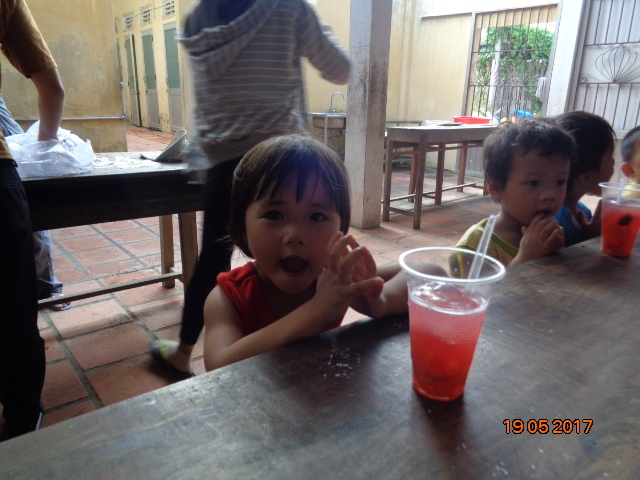 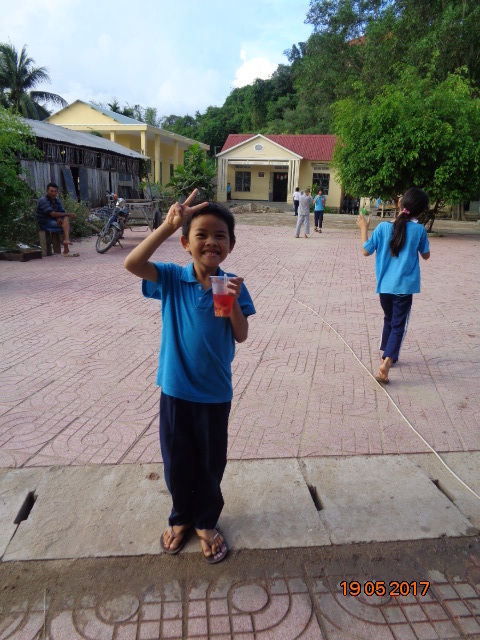 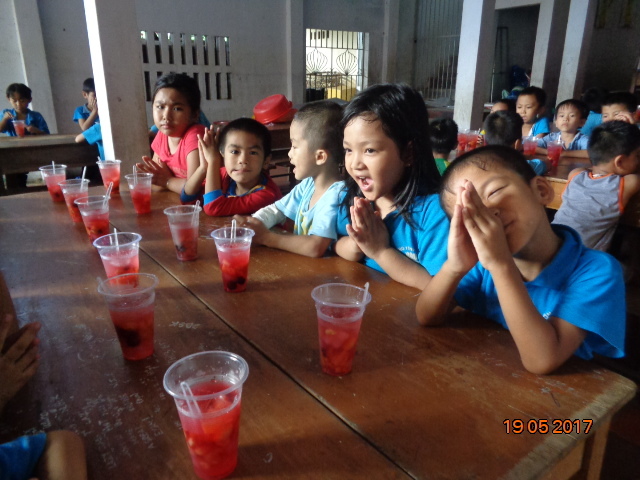 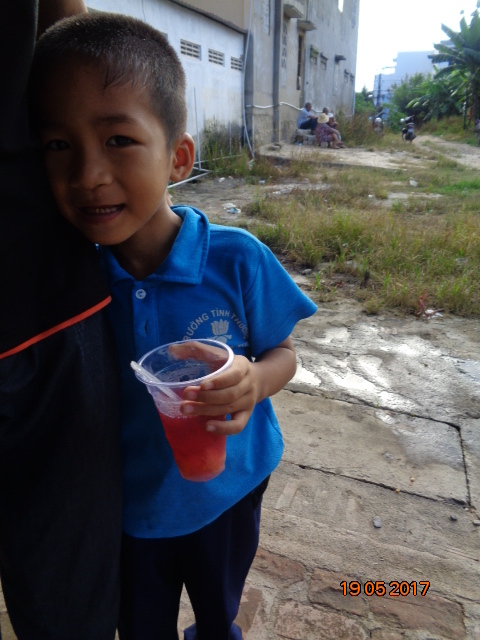 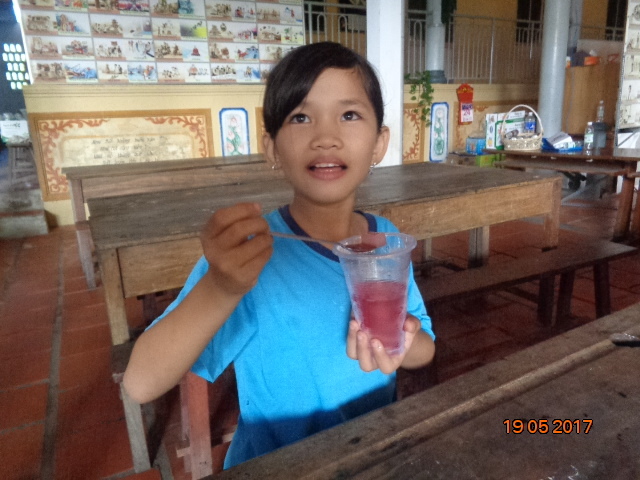 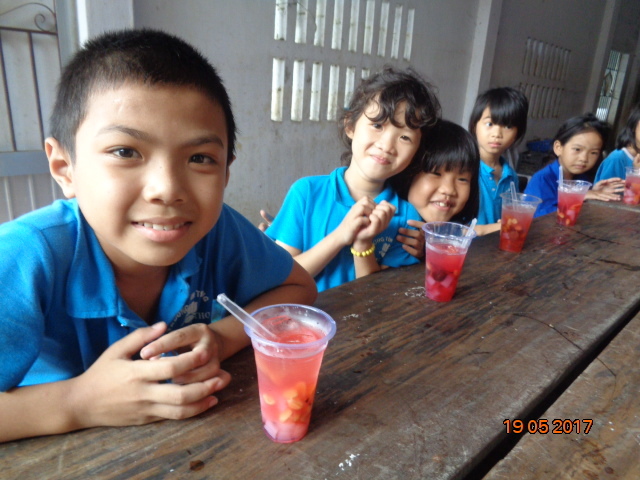 As a treat, our team of volunteers prepared fruit drinks with fresh fruit inside. 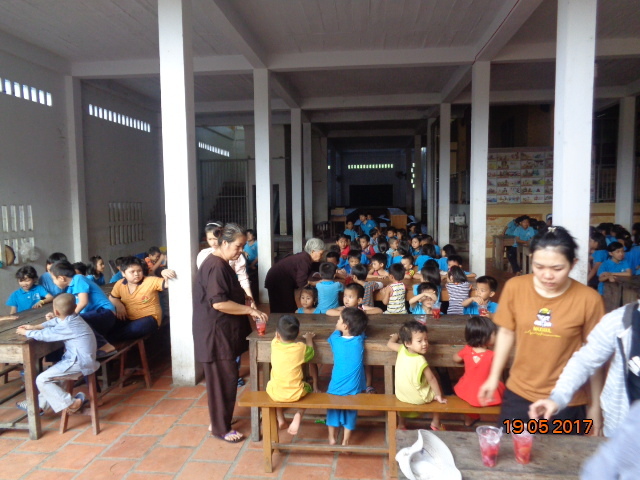 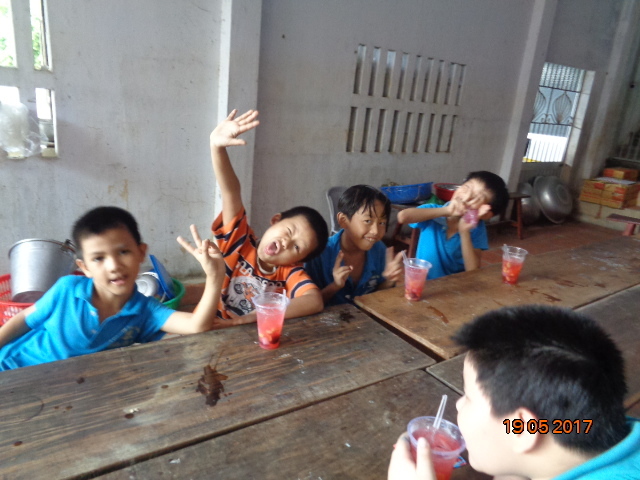 All the children sat at the communal lunch tables, and enjoyed their fruity snacks. 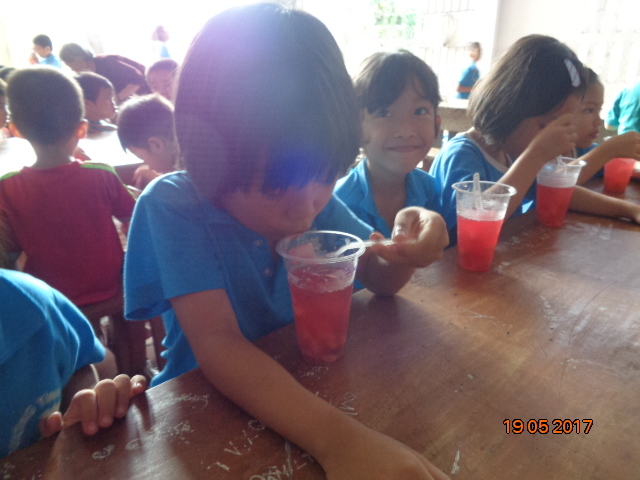 It was very nice on a hot day! 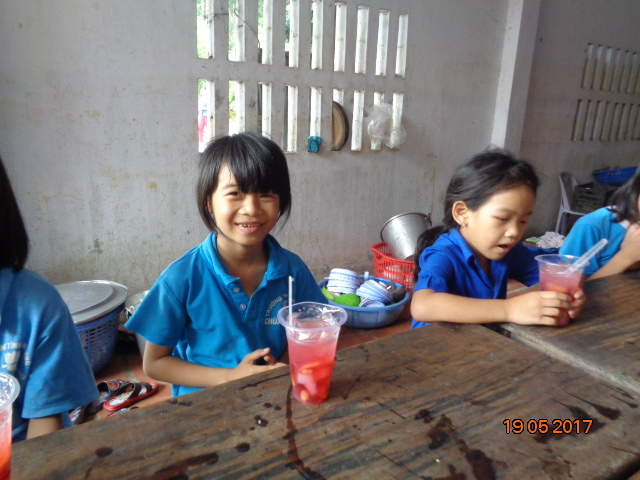 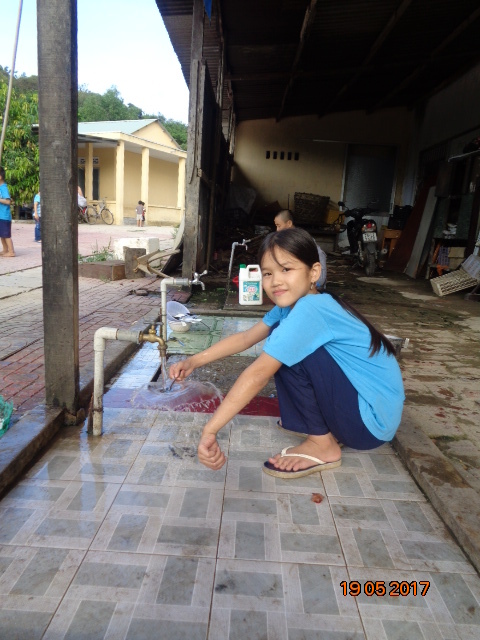 This visit was made possible through the continued support of Lloyd and Esther.